4+ hours?? Wow. can't wait to see the reorg! And wow those are alot of squares for the qal - good for you! cute, cute...CUTE!! and SEW fast! The baby quilt is so cute! 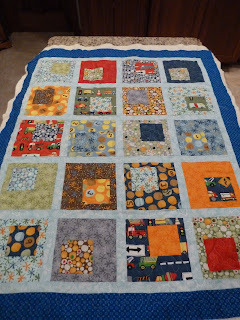 Congrats on your first fully FMQ quilt! I'm trying to psych myself up to try it on my sparkle. Have fun with the QAL! Oh well done on the FMQ - that's back on my 'need to learn properly' list, again! That looks like a lot of cutting too - I'm hoping to be productive tonight and this has inspired me to get cutting!! That's so cute!! love that pattern. Thanks for showing your FMQ. Looks like you just dove in and that's what I need to do! Looks great! That fabric is really cute for that pattern. I actually made the same pattern for a friends baby last year, but was not brave enough to FMQ. Nice! Keep at that FMQ-ing. It's so incredibly satisfying to quilt your own quilt entirely!! 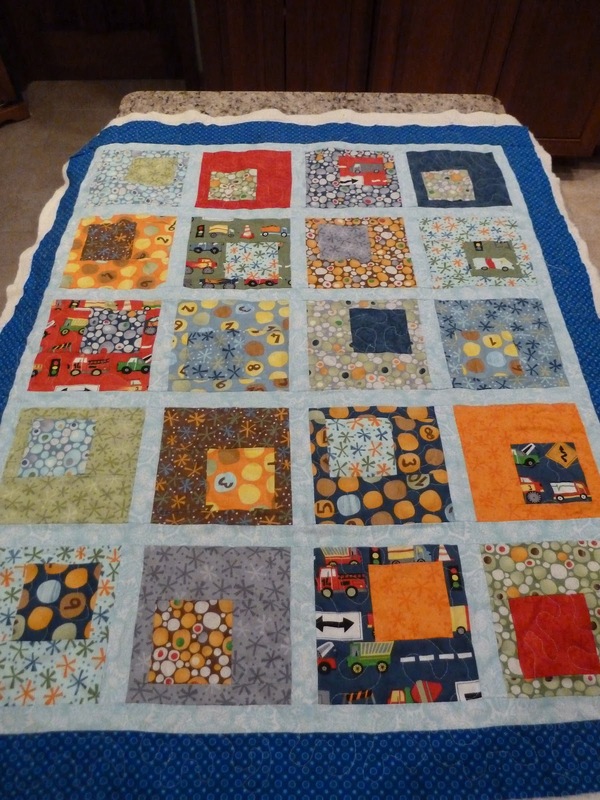 I love that baby quilt, congratulations on being brave and diving in to the world of free motion quilting!